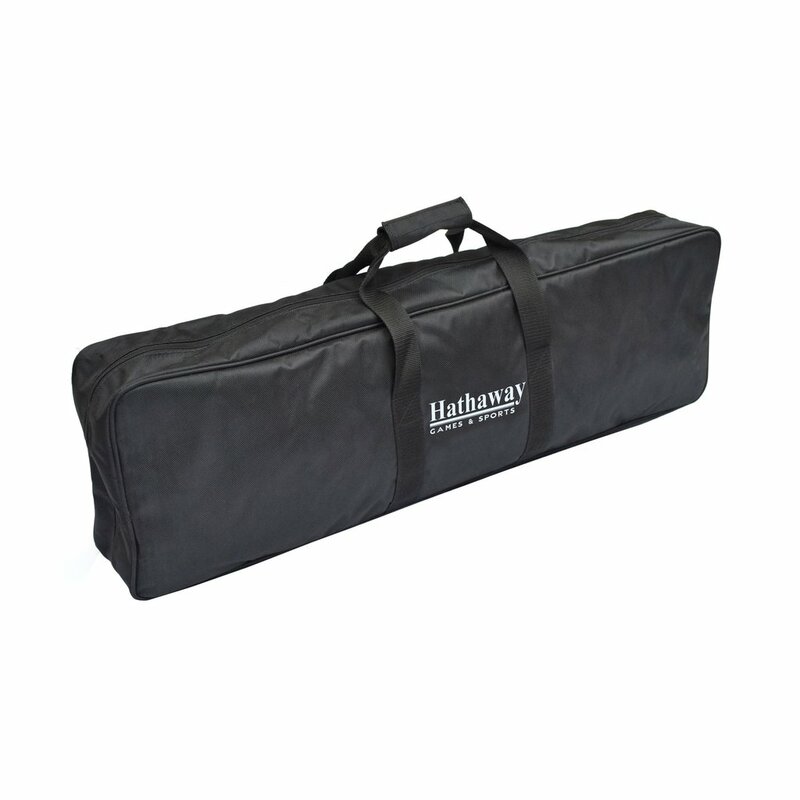 The portable Hathaway Deluxe 6-player Croquet Game Set is a top-quality, full-size croquet set for those looking to play the game of croquet at a high level. This beautifully-crafted set is extremely durable and constructed from the highest quality of materials. Includes everything you need to transform your yard into a competitive croquet court. The 6 high-density hardwood mallets with solid hardwood shafts are color coded with matching balls. 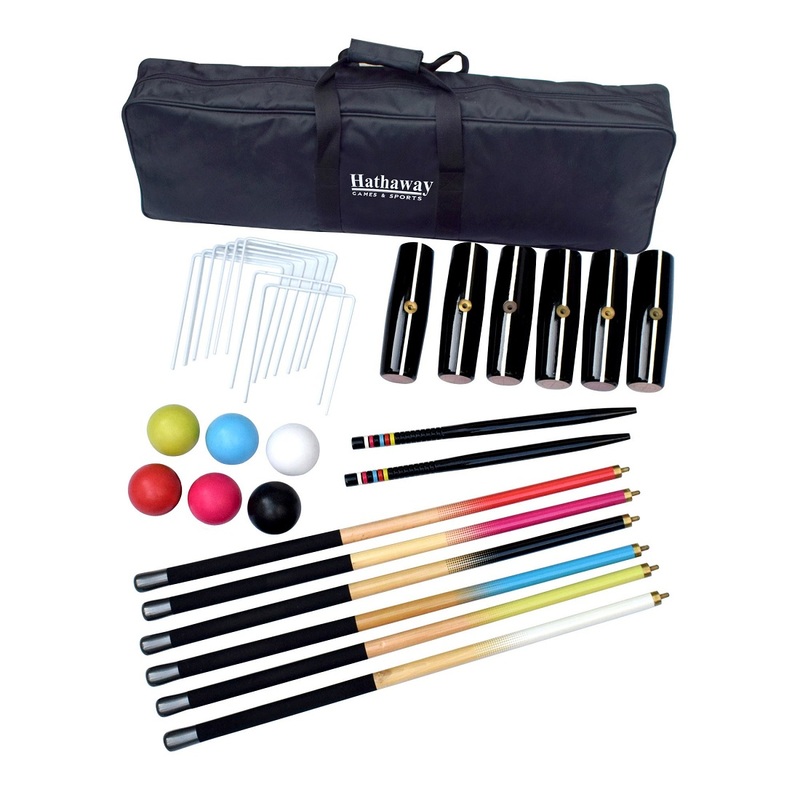 The set features (6) 3-1/3-in polymer balls, 9 extra-heavy, powder-coated wickets, 2 goal stakes and a durable rip-resistant nylon carrying case for convenient transport and storage. Ideal for larger groups looking to experience a high level of croquet game play. 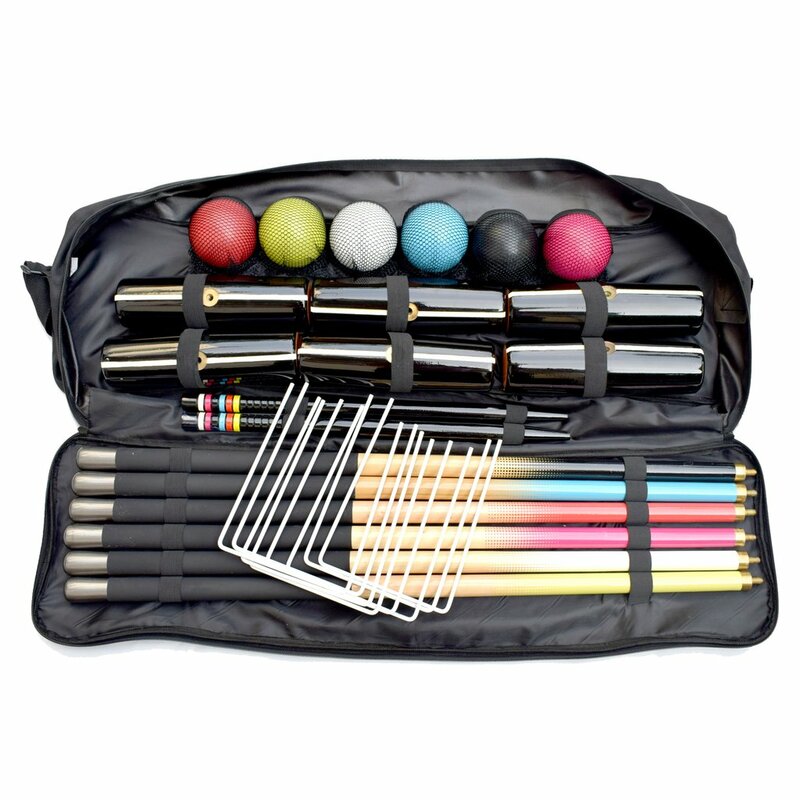 Carry your set with you on all outings for croquet fun anytime!